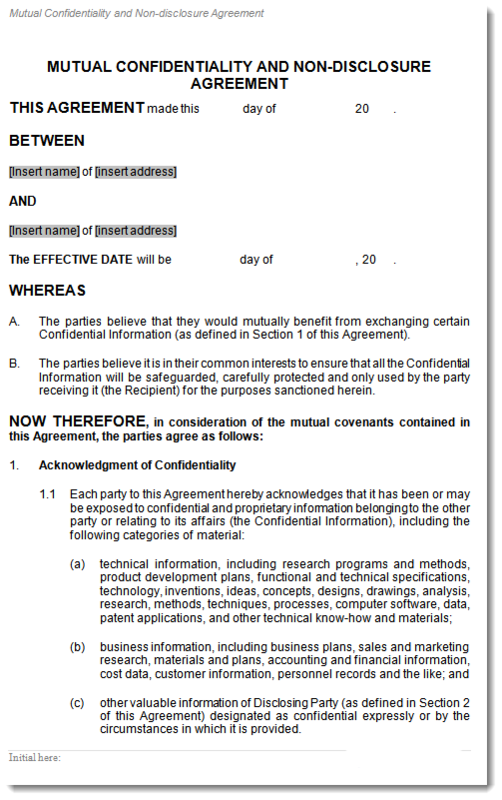 Use this Mutual Confidentiality Agreement when two parties wish to explore business opportunities and it would be mutually beneficial to exchange certain confidential information. By signing a confidentiality agreement, the recipients undertake the obligation not to disclose the confidential information as defined in the agreement and that all confidential information be safeguarded and used only by the party receiving it. This mutual confidentiality agreement has been professionally drafted and formatted for your convenience using Microsoft Word, it can be downloaded immediately as an MS Word template. You can use this template time after time, simply insert the correct information in the appropriate fields and tab to the next field. Now print your professional agreement!